This is a Max/Logan friendship fic in which Logan plays a large part in helping Max, her family and friends. 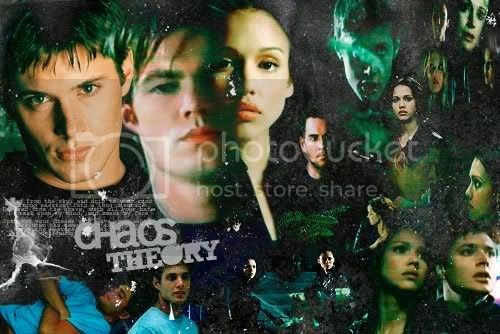 Various pairings include but are not limited to: Max/Alec, Logan/Asha, Zack/OFC, Zane/Jondy. Major AU going on in the sense that Ben hasn’t gone psycho (his ultimate whereabouts and lifestyle may or may not shock you :p), Lydecker isn’t Evil Incarnate, White’s in for a surprise and Sandeman’s influence is far-reaching. Note: This story is undergoing a rewrite for improvement. Further notations: Chaos was my baby; my first mutli-chaptered story, and one I’ve planned for long and hard. It’s a huge project, being a rewrite of the show, but I wanted to give my own spin to things and keep and kill different characters. I also attempt to answer some of the many questions raised in the two seasons that were aired. Who was Sandeman and what was his real plan? What was Renfro’s connection to all this? Why was Lydecker so intent on his kids? How did Hannah Sukova get mixed up in Manticore? The list goes on. I like to think I did a good job in giving some history and reasons for certain decisions, people and situations.